AnimSprite has got a major update by the3sky ! it’s now compatible with GIF files, that means that we can use a gif animations too, so not conversion to mbm is needed, animations can be downloaded everywhere, just look for a gif that you want and put it on e:/data/animsprite, you can insert more than one and choose or change everytime you want. No more file name restrictions. cool ! 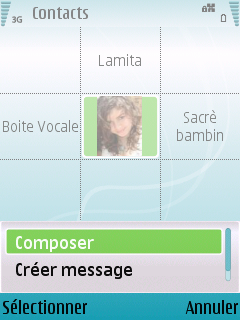 MessageTones by Rock Your Mobile! finally rock your mobile has released(a must have) application (for me anyway) called (MessageTones). this application allows the user to personalize the signal tones for incoming messages. 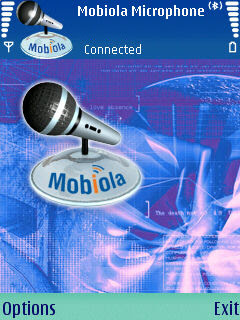 This can be done for any contacts, groups and profile settings on all Nokia S60 3rd Edition Smartphones. The software solution is well and user friendly designed and offers several additional functions to simplify the daily work with this essential tool. From now on you always hear who sent you the latest message! Do you remember ToggleBT? a nice application for symbian os 7 that toggles the bluetooth with one click…Now Bt Switch is a similar application but for symbian 3rd edition! it’s very easy to use, has no user interface, just click on the icon and the bluetooth changes to ON or OFF – asign the app to a hot key and you can toggle the bluetooth state with one click! (normally takes 2-3 clicks). It’s time for warelex now! new application called Mobiola Microphone enables to use your mobile phone like a high quality Bluetooth microphone for your PC!!! Use it with Skype, Yahoo, IM and many other applications. NB : Trial version limits single connections to 5 minutes and has 7 days and it’s Compatible with Windows Vista.